If you have been writing an analysis or even read one, you will know that they all have one objective. However, there are different styles when writing an analysis. Take for examples technical analysis. 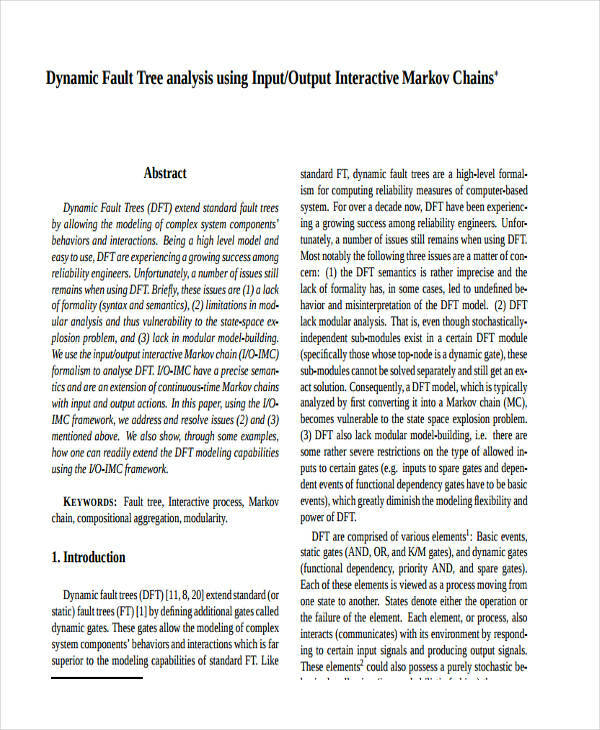 It uses graphs and numerical values to show a study on price and volume transformations. 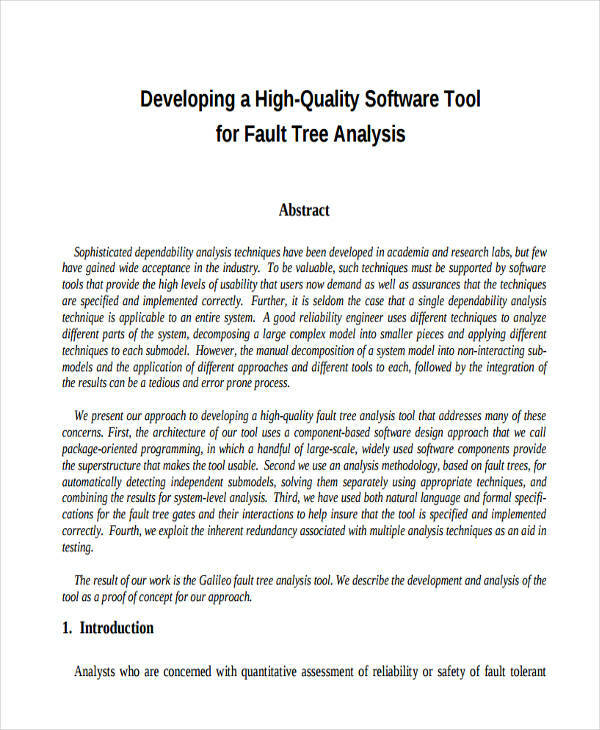 Another kind of analysis is the fault tree type. 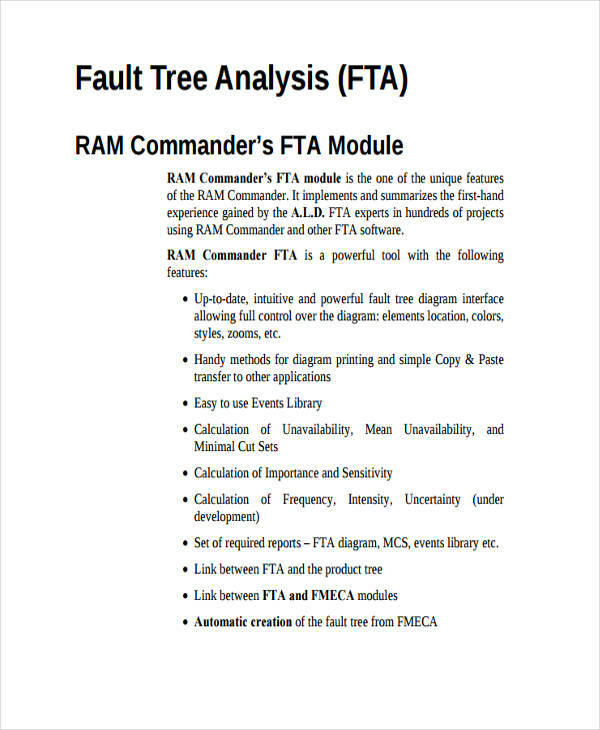 Fault tree analysis (FTA) is a funnelling type of analysis. The movement of evaluation is from general to specific. It is the same pattern that is used in a business analysis. The only difference is fault tree analysis mostly uses diagrams while business analysis and other types use words and some numerical values. 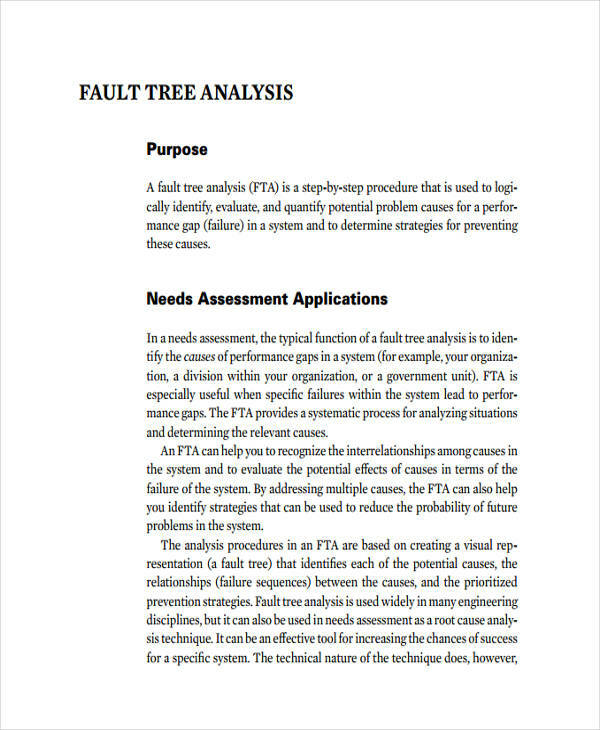 Fault tree analysis (FTA) is a top-down, deductive failure analysis. It employs Boolean logic to inspect an undesired state of a system. This analysis is mostly applied in engineering, but can also be used in other fields like business and marketing. It can be used to predict and pacify any possible high-risk loss and threats in a system breakdown. Some analyses are used to evaluate competitors to determine their strength and weaknesses. 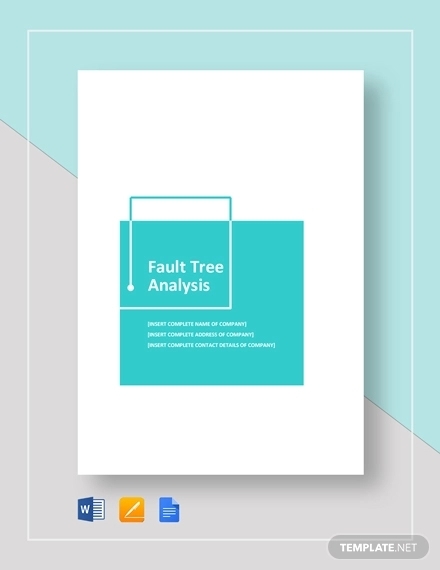 Fault tree analysis on the other hand analyses the existing and current system to check for any faults. 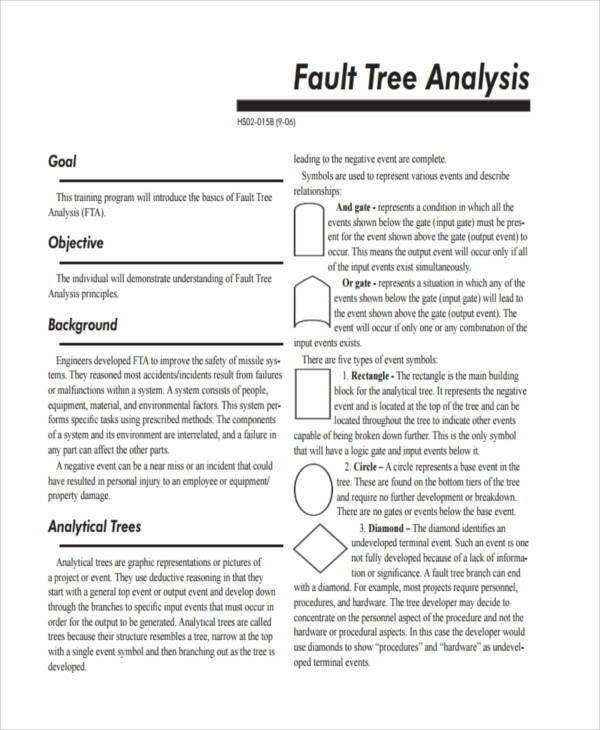 A fault tree analysis is a step-by-step evaluation just like any other kind of simple analysis. Here are the steps to do it. Understand and determine the causes. Do a thorough research on the system and identify what were the causes of the failure. Make sure you have enough technical knowledge on the subject to identify the causes. Divide the list. Once causes are identified, break them down into lower levels and in separate groups. Understand the difference between the causes and use “AND” or “OR” to divide the groups. Review and construct. 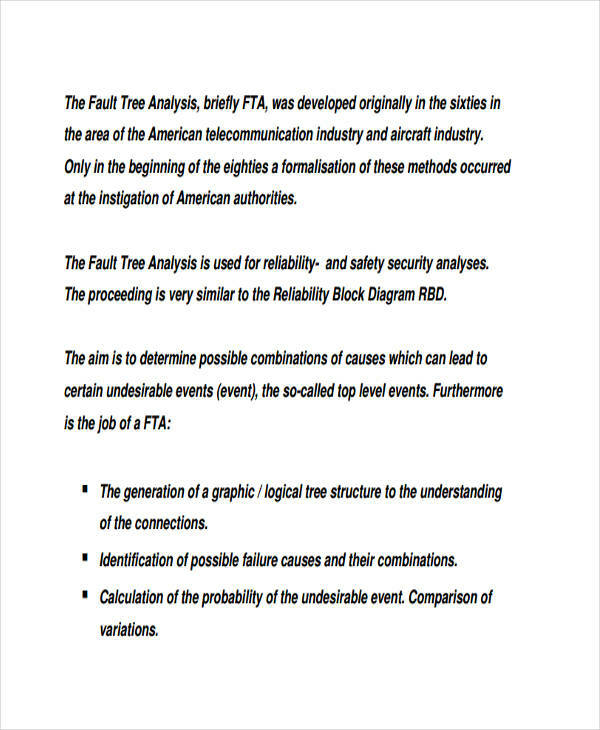 Once all the sub-causes are divided, review and finalise the fault tree. Evaluate. 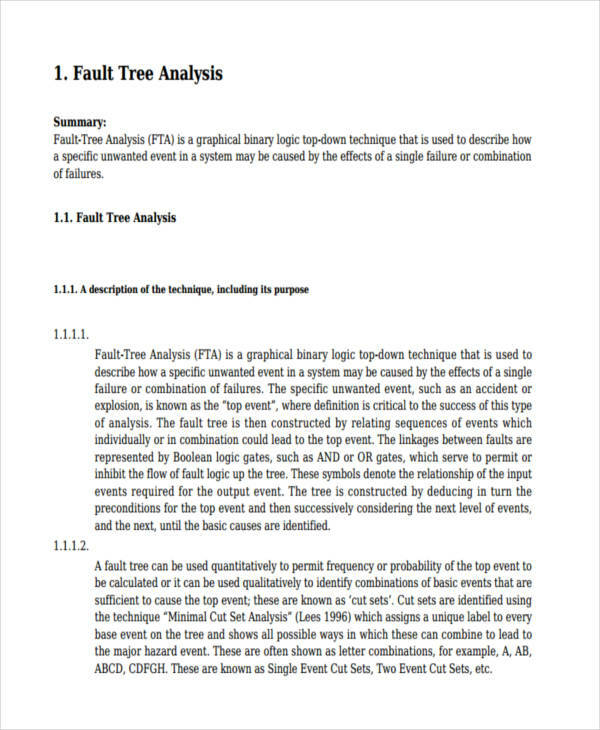 Assess the fault tree for any probabilities from top to bottom. Evaluate for risk management to carry out appropriate action plans. No matter how good an analysis, there are always limitations. The FTA is no exception. There are a few types of analyses that delve deep into the core of a subject. The likes of operational analysis and marketing analysis are some examples. Fault tree analysis does not work that way. 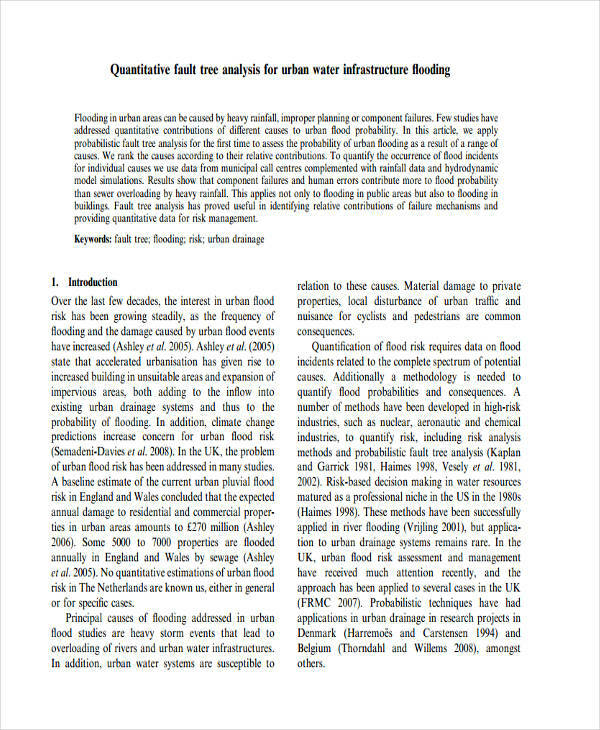 It analyzes existing ideas and lay them down in a pattern to only come up with probabilities and current events related to the subject. 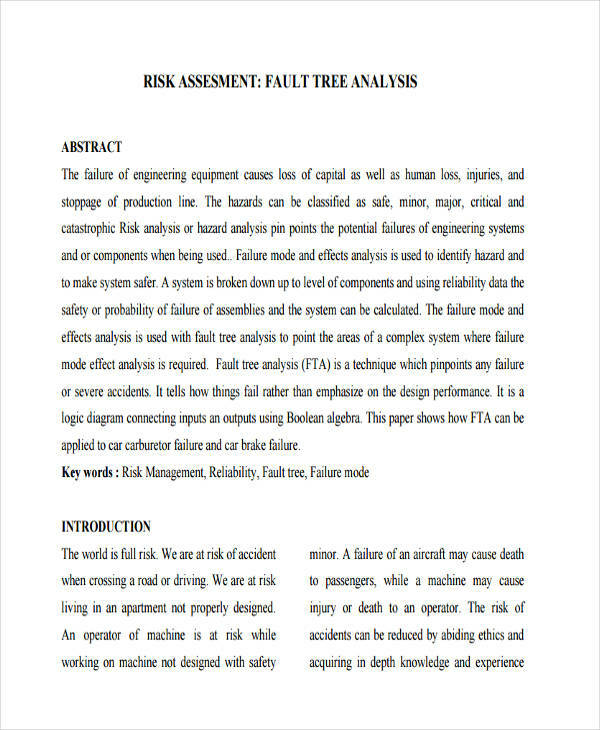 In addition, fault tree analysis cannot pave a way for a solution but only identifies the initial causes that affected the existing fault of the subject. 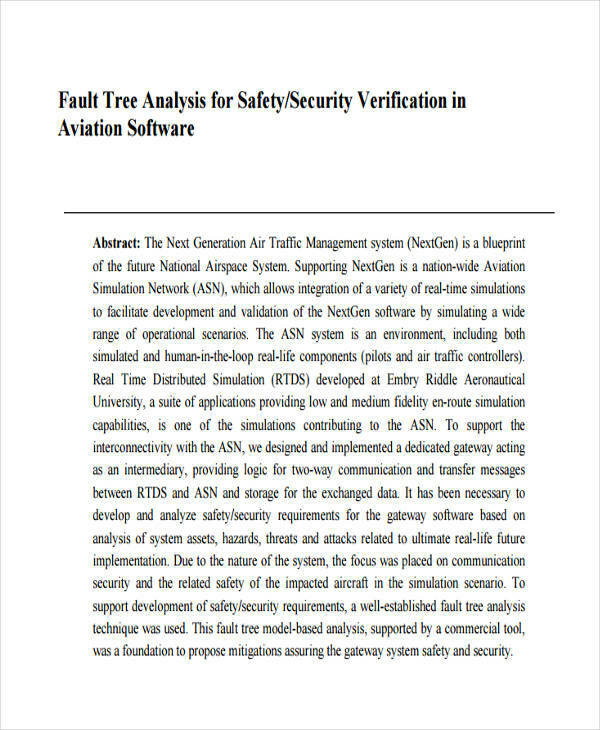 Just like the other types of formal analysis, fault tree analysis has also its advantages. Here are a few of them. It provides critical information. Finding the causes of a problem is as important as finding solutions. It allows you to point out the flaws and replace them with better ones. It guides your way of thinking. Since fault tree analysis uses deductive logic, it makes it easier for you to think of the problem in a broader manner. You think of the fault, then you evaluate and assess the causes that lead to the fault. It provides better understanding. Since you are using a diagram to present the ideas, it gives a better grasp at what you are working on.